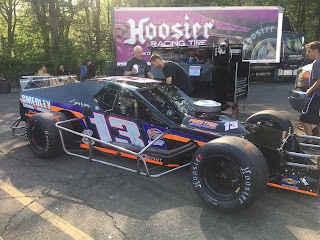 A couple of weeks back, Dylan Izzo was contacted by Prestige Motorsports owner Doug Dipisa to warm up his car for that night's racing action. The plans were to have Dylan shake down the car while its regular driver Teddy Christopher was running his Whelen Modified Tour car at the NHMS. Izzo, shook down the car and to be honest did a great job. “I contacted Izzo during the week and asked if he wanted to come down and help us out,” said Dipisa. “He’s a great shoe and I actually had tons of phone calls coming in and asking me about the ride, but we wanted a top tier driver and we wanted Dylan,” finished up Dipisa. Well, it turned into more that night for the Monroe, CT driver. The twenty-one-year-old now had a task on his hands. While Teddy was racing in the Whelen Modified Tour race in New Hampshire, he ended up breaking a bone in his wrist and couldn’t get to The Speedbowl. Dylan jumped into the Smedley Cranes sponsored SK and ran the heat. He finishes 3rd but what opened everybody’s eyes was the fact he started last on the field. Now with the crew setting up the car for the 35-lap event for the SK’s later that night, it was now Izzo getting to show what he can do? What’s so ironic about this was Izzo took down a victory at The Speedbowl. “I led the first 29-laps of the SK feature and a caution came out with six to go and I had to hold off Teddy to win the race and now I’m driving Teddy’s tonight,” commented Izzo. 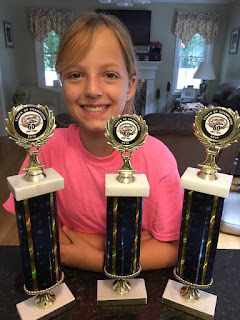 “One of our team goals is to win races but as for running our Dylan Izzo Motorsports SK, we are underfunded. Our focus is to get to as many races as we can and to be competitive,” calmly explained Izzo. When Izzo was asked about his five-year plan he responded, “Being a limited funded team, I would like the chance to drive for a top team and be able to showcase my talents and show what I can do against the best of the best,” explained Izzo. What Izzo was hoping for in five years was getting ready to happen this night for Izzo. 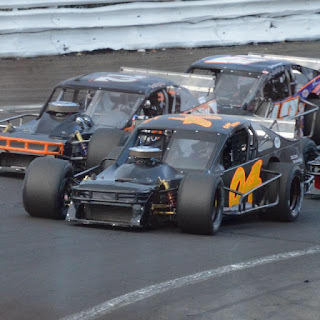 On this night Izzo didn’t let anybody down his first race in a competitive modified like Doug’s car, Izzo used a last lap pass on the inside of Kyle James and finished in a podium spot (3rd Place). It was the talk of the pits that night and Dylan got to showcase his talents and didn’t send anybody home upset. Now turn the clocks forward as this week Izzo will be debuting back at The Bowl but in the #04 Dylan Izzo Motorsports SK. Izzo has the talent to be a great shoe but wanted the fans to know the passion and love he has for racing. “I pour my heart and soul into it. I’m grateful for every opportunity I get and will never take anything for granted,” expressed Izzo. Izzo was only five years old when his brother, who was 13 at the time had his dad by a kart for him. “Me being the youngest I got jealous and had to have one as well. From that day I was hooked,” chuckled Izzo. He made his first race start at Nutmeg Speedway. “I was so scared I got lapped like five times,” Izzo explaining his first race ever. From that point, Izzo went on to win three Championships in WKA Karts. He quickly moved into the Legends Cars and excelled by winning the Championship, taking down 11 wins and setting numerous records at both The New London - Waterford Speedbowl as well; as the Seekonk Speedway. He moved to the SK was no different for Izzo. He won “Rookie of the Year” honors and took down a win in 2006. 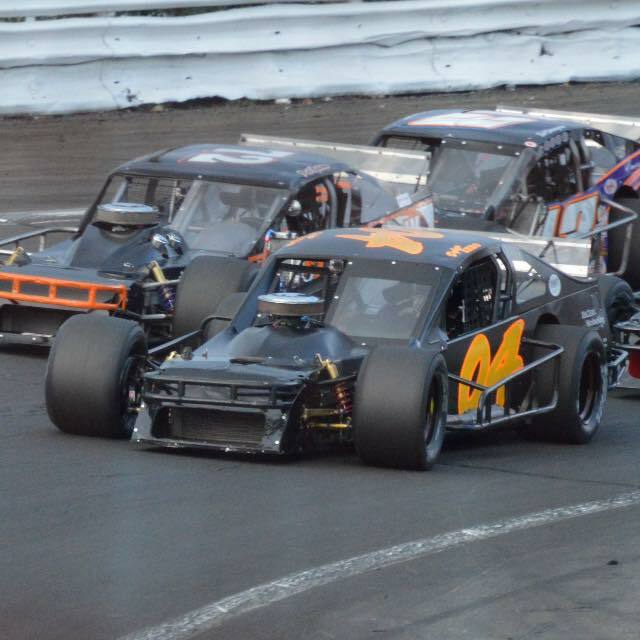 So Izzo will be back at The Bowl in his black and orange Troer built #04 SK modified. Sponsorship will be provided by Joe Maclean Woodworking, LLC and Pettit Racing Engines will provide the power under the hood. 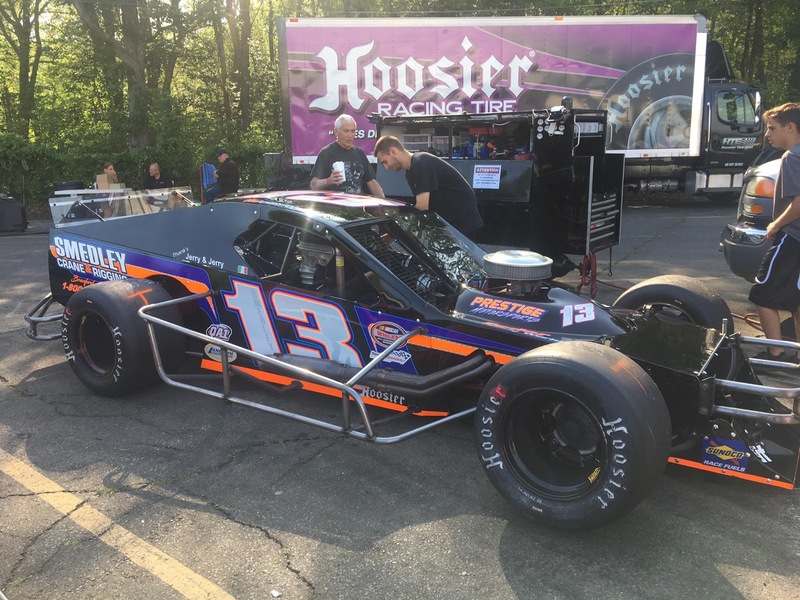 So as Izzo is getting ready to start his 6th season at The New London – Waterford Speedbowl, his second in an SK modified. Uzzo is looking to make his name known, and after his first race of the 2017 season, Izzo did just that. Off the track, you’ll find Izzo either on a golf course or on a baseball diamond or basically participating in any sporting event. Izzo also enjoys watching NASCAR and his favorite driver Dale Earnhardt Jr or even watching The New York Jets. Dylan attended SCSC for two years and works in the electrical field. One thing I always enjoy asking is about superstitions at the track and Izzo opened up and explained that he always puts on his safety equipment on in the same order no matter what, and always has a black shirt on. Before concluding our chat Izzo had this to say “First I need to thank my Dad for everything he’s done and what he sacrificed for me and to be where I’m today. My Mom for always supporting me in racing (even though it scares her to death. Joe Maclean for not only being a sponsor but supporting and believing in me since day one and doing what ever he can to make sure we get to the track and finally to everyone who helped me get to where I’m today,” Izzo said gratefully.